Attention all incoming 9th-grade parents/guardians. 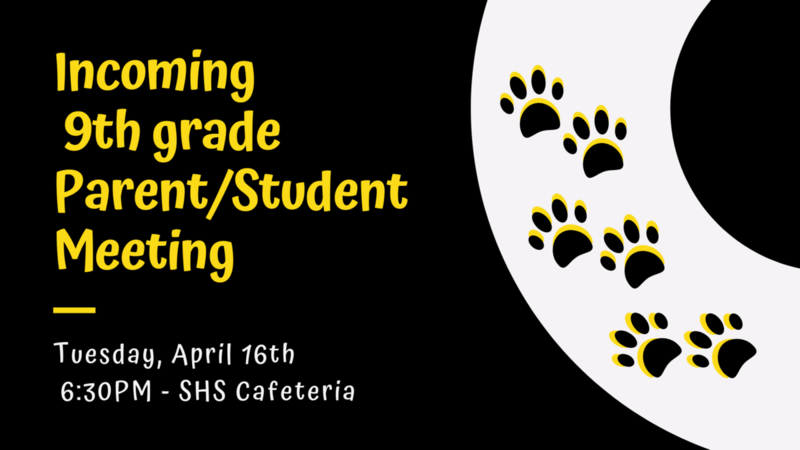 There will be a parent meeting on Tuesday, April 16th in the SHS cafeteria. Come learn with your student about the exciting opportunities that will in the 2019-20 year! !